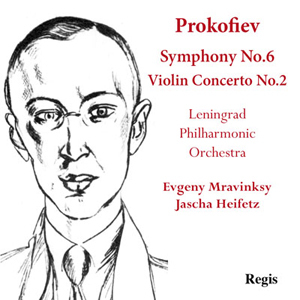 Arguably Prokofiev’s best symphonic work, the 6th symphony receives an electric and idiosyncratic rendering by Mravinsky and his Russian forces. Heifetz’s interpretation of the second violin concerto has long been considered a classic. Super budget price.